Buckle in kids, this is gonna be a long blog. The first order of business is — we’re having a sale! Every year we do a holiday sale and this time we’re going all out. For those of you familiar with our fan badges, now is the best time ever to fill out your collection because we’re offering TEN badges for $20 (instead of the usual 5 for $20.) Our convention tour in 2014 is going to be very small (only 10 or so cons) so w e won’t be able to see many of you!! With that in mind, this is a great chance to get the fan badges you want for next summer! We’ve got Shounen FIGHT! stuff on sale too! 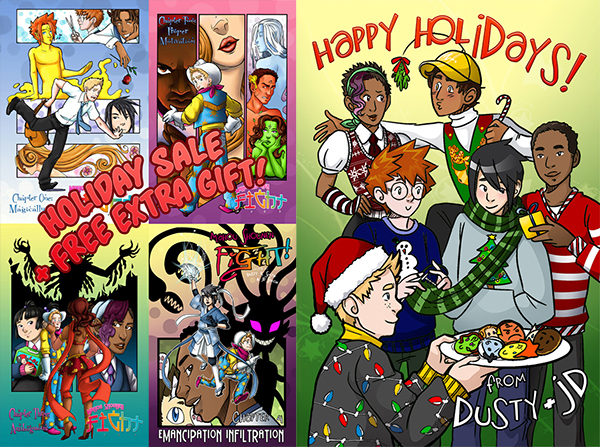 Right now you can get all 4 of the first print issues of the comic for $20 (marked down from $24) and when you order during the sale, you also get a FREE holiday print. We’ve also got our poster set for half price at $10 for all three posters. And lastly, we’ve got our Toph vs. The Weeping Angels poster on sale for $10 (from $15) AND if you order anything from the store in the month of December, you’ll get a 15% off coupon code for the preorder of the MSF! compilation book. We also have a new item in the store! 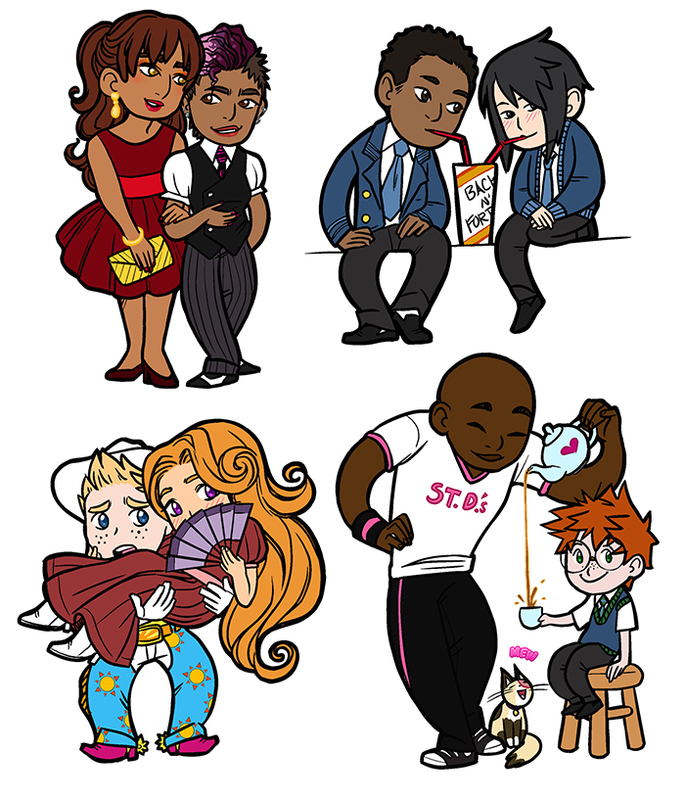 For the event we did last weekend, we put together a new magnet set. You can get them for $3 each or the set for $10. An absolute must-read for fans of MSF! is Gastrophobia by David McGuire, a guy with a fantastic sense of style and storytelling. Also go read this short comic he did called Marty’s Big Day. GO READ IT RIGHT NOW. Some of the other amazing comics we were beside for the weekend: Girls With Slingshots, Something Positive, Questionable Content, Masters of the Obvious (our delightful and talented next door neighbors! ), Dinosaur Comics, Hijinks Ensue, Wondermark, Least I Could Do, Short Packed… just so many fun and talented creators. We had a great time doing the panels which were webcast — thanks to those of you who stopped in to watch us online! It was a wonderful experience and we even had some people come in just to see us — in spite of the iced roads from Dallas to Austin. I seriously didn’t even think anywhere in Texas could GET as cold as it was that weekend. Rude. We were just so flattered and delighted to be there and meet everyone! AND AS IF IT WASN’T ALL ENOUGH. 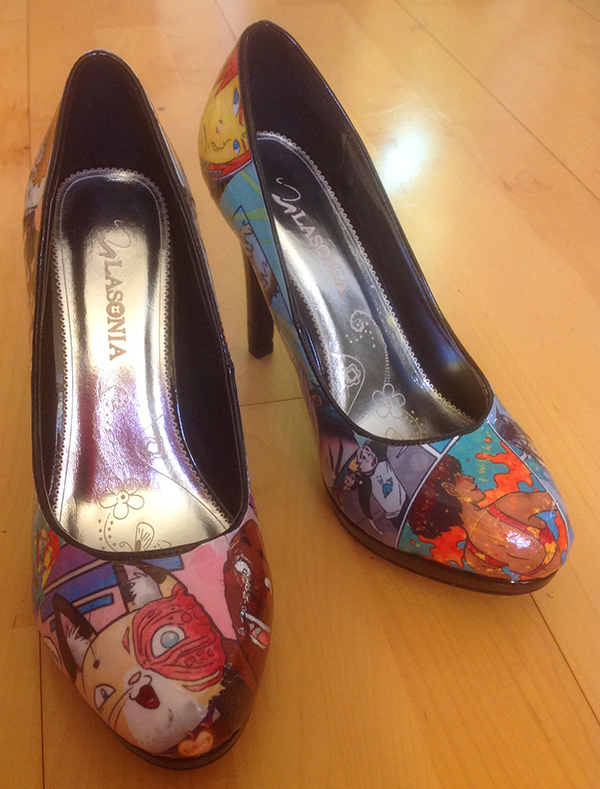 We were greeted on Saturday morning by some wonderful people known as Chrysalis Designs who make these incredible comic book shoes. And they made a pair of shoes for EVERYONE THERE!! Can you even believe these shoes!? They’re exquisite!! Is there anything more appropriate for MSF! to be plastered on than a pair of high heels? These are an absolute treasure. You MUST check out Chrysalis Designs — they take custom orders! You could be this fabulous! We also had a great time being able to travel with our good friend and fellow San Fran local, Alex Woolfson, creator of Artifice and The Young Protectors. 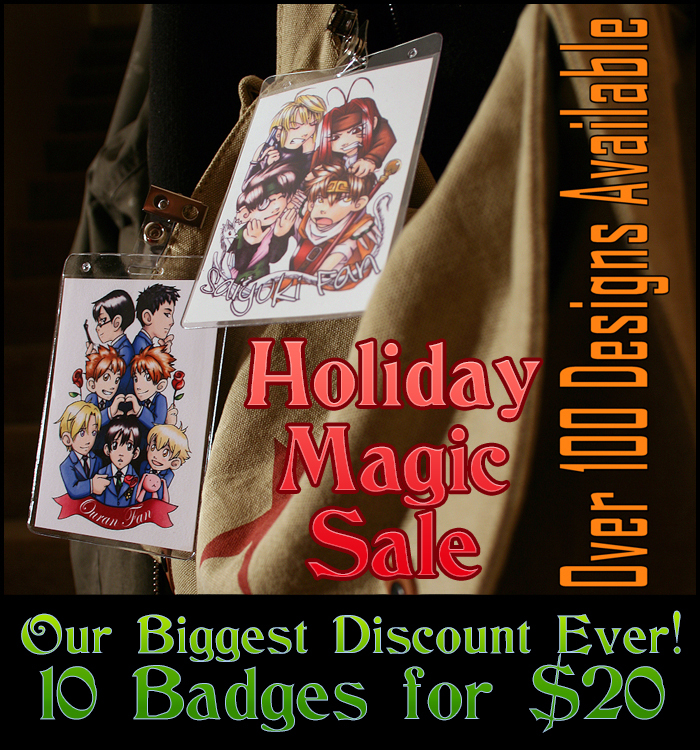 He’s also having a holiday sale that you should take advantage of! If you haven’t read his stories, now would be a great time to pick up a book! His coupon code is ‘YAOI911-HOLIDAY’ and it gets you 10% off your whole order. Speaking of the holiday, it’s right around the corner here, isn’t it? 2013 has been a rough year for us but a rewarding one at the same time. We’ve felt the support of the comics community more than ever and we’re really excited about being able to go into 2014 with our first big book on the way. It’ll be interesting to be able to hit the convention circuit with the new book and the Teacup plushes! JD’s in the last few days of crunch during finals and has been cranking out some AWESOME stuff. (Dusty said, without bias.) It’s been another relentless semester and between that and myself having a new job, it’s been another fall of slow updates. But good news! JD is going to be taking the next semester off school to work on finishing up chapter 5 and all the content for the book. I’m also going to be mostly handing over the convention-circuit reigns next summer so you guys will actually be able to meet JD on the road instead of me! This should give us the opportunity to speed up our production and get you guys content more regularly. Woohoo. Merry Christmas to me…a new page of one of my two favorite comics…now if we could just get something out of Boxer Hockey. Thanks you two…I love the comic. You are great artists AND storytellers. HOLY COW! 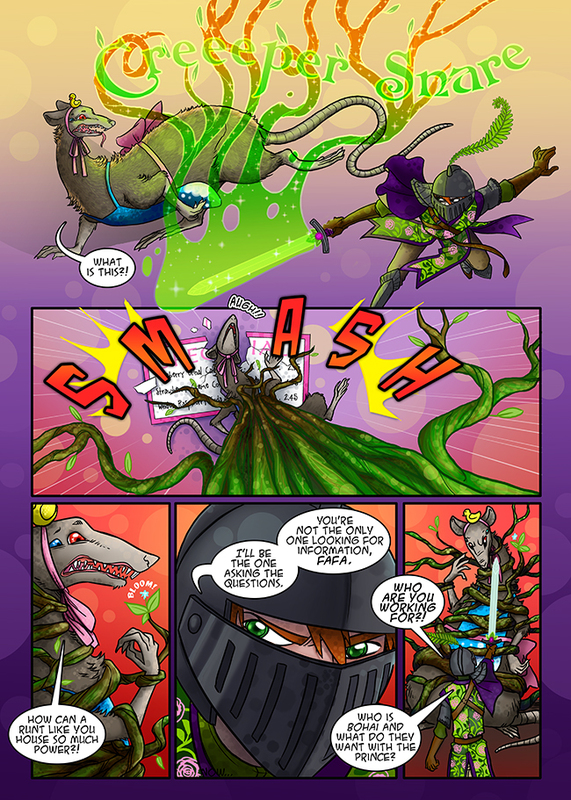 A new page has been sighted!! Yay! This looks amazing! I had a feeling Oliver was gonna be super fierce when he finally got the sparkles, lol! You go Olly and Spring! A NEW PAGE !!!!! O THANKS FOR THE PRESENT !!!! IT’S THE BEST CHRISTMAN EVEEEEEEEEEEER !!!! Somebody missed a word bubble in panel 4 (the “Now…” is nearly invisible at the bottom there). Oh my gosh! You’re totally right. Good eye! We had another bit of dialogue there that got changed/moved around, but I guess we forgot to turn off that layer! Hahaha. Thanks for the catch! Holy moly, eagle eye! Haha thanks for that! How funny. I should start including things like this now to see if you find them. Hee, thank you! I’ll admit I didn’t see it the first time I checked, but I check back a couple of times a week at least. I like this comic and I’m always hoping it’s updated.